BIG THINGS, COME IN SMALL PACKAGES. Touch's COMBO-TYPE line defines the phrase, big things come in small packages. The COMBO-TYPE line of readers combine compact, customer friendly form-factor and powerful performance. 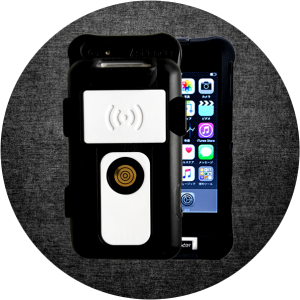 Fit UHF RFID, 2D/1D Barcode and NFC capabilities, right in your pocket. Use 2D/1D Barcode for now and be READY for RFID when the time is right for you, with ASR-0231D's RFID+Barcode clever combination. Compatible with 1D and 2D barcodes. Laser crosshairs help you scan the target barcode easily and correctly. UHF RFID supports RAIN RFID ISO/IEC 18000-6 Type-C / EPC Class 1 Gen2. ASR-0230D / 0231D support 902-928MHz or 865-868MHz respectively. 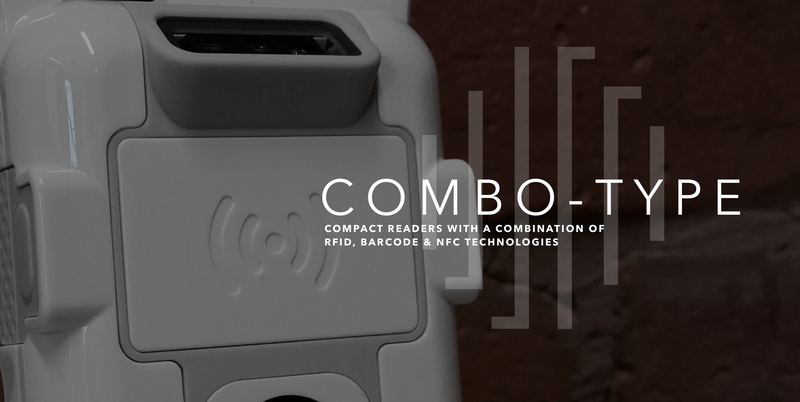 This COMBO-TYPE reader is unique in that it has built in NFC capabilities as well as HF RFID & 2D/1D Barcode functionality. Compatible with 2D and 1D Barcodes. Lasser crosshairs help you scan a barcode efficiently. HF RFID supports major types of NFC types. The same in price, and almost equal dimensions / weight. 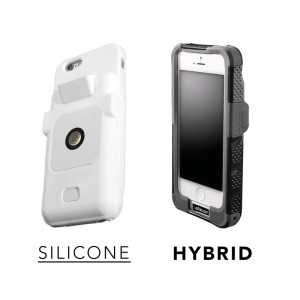 The Silicone-only Case: (image on left) is faster to put on and take off. 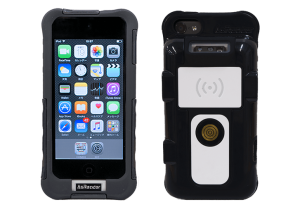 The Hybrid Case: (image on the right) is more rugged due to its combination of silicone and non-porous TCP hard plastic. Both alternatives look and feel great in hand. The standard colour-ways come in either a professional black, or a crisp white colour. Customisation is also available on demand. Both respective Silicone and Hybrid cases clean well, and are durable, holding up against harsh chemicals, like bleach wipes.